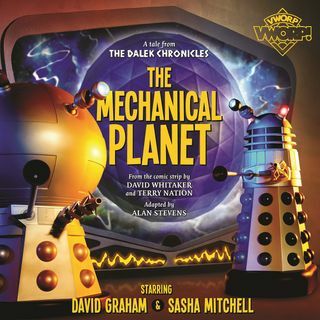 A brief teaser for the Mechanical Planet - a free audio play presented as a free gift with Vworp Vworp #3 starring David Graham as the Golden Emperor of the Daleks! Shame I can't hear it. I refuse to give your audio app permission to see my Facebook friends list.